Mechanical defects and product recalls are once again hitting Toyota but this time it’s the Prius that’s under the microscope. In the last 2 years, Toyota has recalled over 13 million vehicles due to various problems…the biggest recall, one for stuck accelerator pedals, culminated with a $32.4 million fine from the U.S. Government. Numerous personal injury and wrongful death suits have been filed as well, which have all been consolidated under one judge in a federal court in California. Trials are not expected to begin until early 2013. 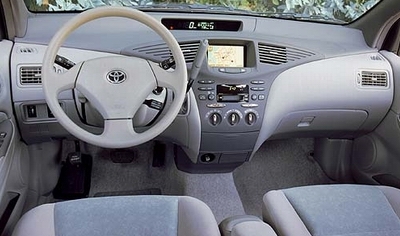 This time, 2001-2003 model Prius gas-electric hybrids are being recalled due to problems in the electric power steering system. After a four-year investigation, company officials announced on June 1st the recall of over 52,000 Prius vehicles in the U.S. According to the company, the problem has to do with the electric power steering pinion shaft nuts. These nuts can sometimes work loose if the steering wheel is repeatedly and forcefully turned in the full-lock position. Weakening of these nuts can cause the driver to experience difficulty in making left-hand turns. Only one minor accident is believed to be connected with this steering problem. However, that hasn’t been totally confirmed. Company officials say owners of the affected vehicles will be receiving notices in early July. Toyota will replace the nut(s) and secure the pinion shaft free of charge. They say the job should take about 4 hours. If you believe you own a vehicle affected by this recall, contact your local Toyota service center immediately to find out if and when you should come in and have it looked at. And if you’ve been adversely affected by this or any other defective product, we invite you to contact defective product attorneys at the Babcock Law Firm in Denver today for a free consultation.